As a friend of the DANK Haus, your cost is $25. The non-member rate is $27. According to an old saying, two things you never want to see made are laws and sausage. Who doesn’t love a good sausage? And just how are they made? On July 27 all these questions and more will be answered as Peter Andros of Sausage König comes to DANK Haus for wurst-making of the very best kind! 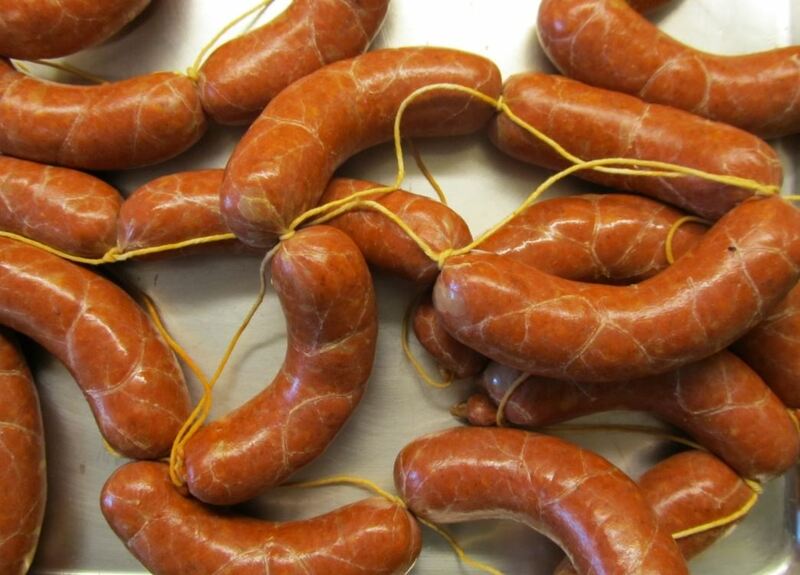 Peter has been making sausages for 8 years and started Sausage König with his wife Cheryl 3 years ago. materials, seasoning, and equipment needed. Peter will also make two different sausages for the class. You’ll get a taste of his best-selling, traditionally flavored Onion Brat as well as a delicious breakfast sausage which requires no special equipment and anyone can make at home! As always, the class fee includes hands-on instruction, generous tastings, recipes, a drink from the bar, and of course camaraderie. This class will fill up fast so register now!